IN MEMORY OF THE MEN WHO SAILED AND DIED WITH HER. MAY WE KEEP THEM ALIVE IN OUR HEARTS. 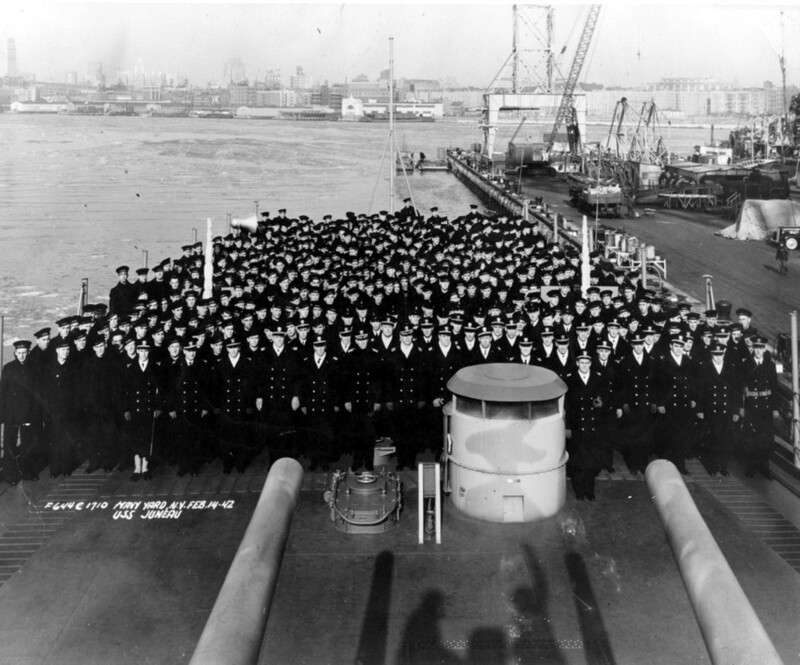 This website is dedicated to the men of the USS Juneau CL-52. Most of the young men who died on her joined the Navy right after Pearl Harbor attack to, as one sailor said "To defend Our Country". These young men bore the brunt of the fighting in the pacific, holding out until our navy was able to build a fleet that was unstoppable. My interest in the Juneau began about 20 years ago, when I discovered that a women from my church lost her fiancee on the Juneau. I was always a student of history, and knew the story of the Juneau from history books. But until then it was just a story. It was a totally different experience when history comes alive as it did for me that day. I understood first hand what it meant, that it was just not a story in a book about a ship that was sunk with the Sullivan brothers aboard, but an event that changed many peoples lives, as it did for Liz. Many families gave their sons to help A story that still effects people today, over 70 years later. I will present new information from research and show items that I have collected over the years. Please check back often as I will update and add items. If you have any stories or items you want to share, please contact me. To contact me please use this form OR EMAIL ME AT USSJUNEAU@GMAIL.COM . All questions and comments welcomed. 2/12/17 Added Photo of ARMSTRONG, Wesley CRM(AA). 6/1/14 Added photos of AITCHISON, James Thomas Sea2c and BORDEN, James Alexander Sea2c. 8/9/13 Added PDF of Newspaper Article.